The Palm Pre—you may have heard of it—comes out on Saturday, but all sorts of media “outlets” have already published their reviews; I don’t know when our review will go up. And since it’s my feeling that most of you already assume the phone is “good,” I’ve gone ahead and collected a few excerpts of the more critical points. You know, the part of the review that goes something like, “Now, the Palm Pre isn’t perfect; we found a few problems with it. And they are…” That part. So let’s get on with it. Still, I encountered occasional sluggishness and bugs. At one point, the clock was out of whack. At another, I had to shut down the Pre because the onscreen icons kept dancing around. I also longed for the visual voice mail feature of the iPhone — Pre’s unobtrusive “notifications” dashboard flagging incoming messages, system alerts and such is no substitute. And I wish Pre had more third-party applications at launch. Too bad, as with the iPhone, there’s no video camera. Pre poses no immediate challenge to the iPhone when it comes to robust apps. 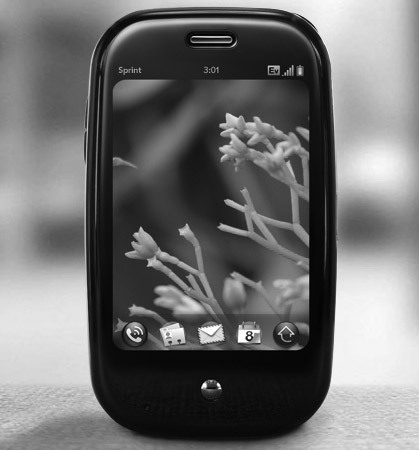 Only a dozen or so are available at launch, including Pandora Internet radio, Citysearch, The New York Times and Classic, an emulator that lets you run old Palm (Treo) programs. But the hardware? Cheap. Flimsy. Dangerous even. The first thing you’ll notice as you slide open the Pre is the absurdly sharp ridge digging against your palm. Nowhere—not on the iPhone, the G1, the G2 or any of HTC’s other smartphones—has a phone been so threatening to the integrity of my skin. If you’re pushing up screen from the bottom of the phone, as you’d instinctively want to do, prepare to get sliced. It’s just that irresponsibly sharp… Maybe I’m being a perfectionist here, but this is the one biggest flaw in the hardware; one that’s not a dealbreaker, but really detracts from the overall experience. [The keyboard] is not good enough for a smartphone. Each of my thumbs take up the width of four keys, ensuring that only a fingernail approach would get me anywhere near accurate typing. Dialing is somewhere where Palm’s reliance on Universal Search becomes an over reliance on Universal Search. To dial a contact, you either have to pull up the contacts app and manually scroll down to the person you want (there’s no alphabet shortcut) or start typing. So, when you have hundreds of contacts, your only reasonable choice is to use the search. Also, the actual act of launching the app is a little frustrating: When you tap an icon, the launcher disappears and all you see is the home screen, as if you did something wrong. You don’t know whether or not your app has opened successfully until it has. Besides the standard issues we had with the construction of the phone, we did spot another peculiar problem we hope is just a one-in-a-million fluke with the test device we were given: it physically broke… There is a small flap that covers the MicroUSB port, and while attempting to get the thing open, a thin piece of plastic which runs along the bottom of the casing just snapped. Now, we’re not saying this is a widespread problem—in fact, reps at Palm claimed this was the first time they’d seen it happen—but it was a little disconcerting. Touch sensitivity was more than acceptable, though we do take issue with tracking and accuracy in some instances, particularly when you’re close to the edges — taps sometimes go unregistered and your aim can feel off. Our biggest gripe is actually with the software, which omits some no-brainers like double-tap spacebar for periods (though in the phone’s defense, it does have a dedicated period key). Auto-correction is in effect here, fixing your lowercase i’s, un-apostrophe’d contractions, and the occasional misspelling, but it pales in comparison to the iPhone’s intelligent input recognition. Mostly, these gestures are intuitive and helpful, but we do question a few decisions Palm made here. For instance, when you want to bring up the launcher and you’re in an app, you have to swipe up to zoom out to the card view, and then swipe up again to get the launcher up. Why the extra step? We have no idea. The seams aren’t as tight as they could be, and the phone does have a somewhat “plasticky” feel to it. Because the Pre is covered in shiny black plastic, it’s an absolute magnet for fingerprints. Not just on the screen, mind you, but all over the entire phone, including the back. I can’t think of a phone in recent memory that collected more finger oils and grime. It’s easy to clean off by rubbing it on your jeans, but still, wow does it get dirty fast. OK, the keyboard. First, there is a very sharp edge outlining the bottom of the phone, and it also surrounds the keyboard when the Pre is open. I found this edge very annoying and distracting. Granted, you’re not touching it all that often, but when you do, you sure will know it. On more than one occasion while testing, the “EV” symbol that sits next to the signal strength indicator changed to “R”. The user manual tells me this means the Pre was roaming. In all the years I’ve tested Sprint phones, I have never seen one roam before. The Pre couldn’t perform ANY network-dependent activities when the “R” symbol was present. This is goofy behavior that could be attributed to my review unit in particular and it is likely something that could be fixed with a firmware update. The ringers were not loud enough to suit my tastes. Set all the way up, it would be quite easy to miss phone calls in loud or noisy environments. Palm’s webOS is an absolutely battery hog. Because it is constantly pinging the network for information and data (aka, email, etc.) the battery often drains in less than two days. This was consistent across the whole time we spent with the device. Heavy use drains the battery even faster. I was easily able to kill the battery in one day with heavy web use, camera use, MMS use and some phone calls. Keep in mind, this is with no Bluetooth and no Wi-Fi active. In terms of general usability, webOS ranks below iPhone OS, is about on-par with Android, and rests above S60, WinMo and BlackBerry OS. There’s one major kicker. When the Pre is attached to a PC to sync media, it cannot make or receive calls or text messages!!! What the what?!? Palm doesn’t provide an explanation, but that’s just ridiculous. The hardware comes off as feeling a little bit on the cheap side. That’s unfortunate. Some will find the QWERTY keyboard difficult to use, though I thought it was okay. The lack of expandable memory means it is limited to the 8GB of on-board storage. Phew! I sure am beat, and I now know more than I ever wanted to know about the Palm Pre’s shortcomings. I hope this has been educational at best, and time-saving at least.